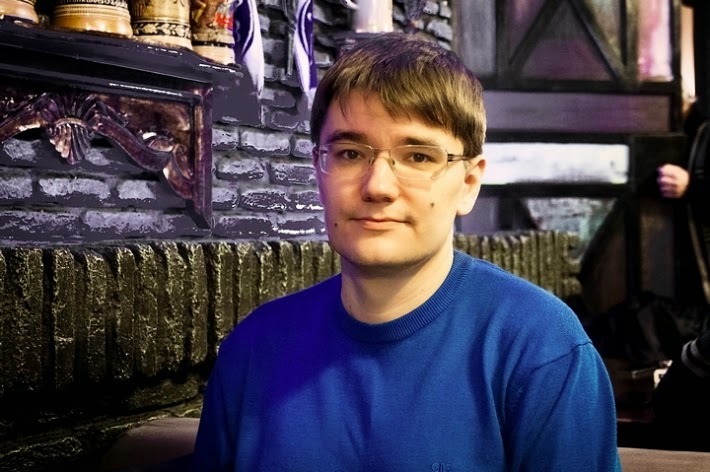 I’ve chosen to Pick some things out of the very excellent Interview that chess-new.ru (English translation) http://chess-news.ru/en/node/18286 from ane Interview that Evgeny Tomashevsky gave. Evgeny Just won the third round of the grand prix and is now one of the favorites to place in the Grand prix Series (1st and 2nd finalists are automatically enrolled in the next Candidates tournament to compete for the opportunity to face Magnus Carlsen in a match for world championship in 2016). It might be appropriate to share some brief biographical information. Evgeny Tomashevsky is a Strong GM from the Russian town of Saratov; in the caucus region of Russia. His positional play, and quiet demeanor has earned him the nickname “the professor”. http://en.wikipedia.org/wiki/Evgeny_Tomashevsky. While the most recent grand prix is not his only big win (2nd in the 2007 Aeflot open is pretty impressive)- this just might his biggest victory yet, having earned an impressive amt of grand prix points and winning decisively over grandmaster after grandmaster. His interview is both interesting and instructive. I’ll try to keep my commentary in italics as to not be confusing… Bold face shall highlight what I think is very interesting. E.SUROV: But do you understand that the situation has been changed for you? Now, before the final stage, you are among the three favorites of the whole Grand Prix series. Will you try to instil something in your mind and play the Khanty-Mansiysk stage as if nothing has happened?E.TOMASHEVSKY: I'm not going to instil anything in my mind, I will just keep playing as usual. If you aren't calm, it lessens your chances. What's the point of being worried? I think one of the factors that assured my good result in this stage was exactly my objective perception of the tournament situation during each part of it. What's the point of depriving myself of this advantage voluntarily? (huge! any given lingering feeling would do the same, and I think that one should work, quite hard to get a mastery over our feelings as we play our opponents. Beware of the emotion and work on grounding yourself in objectivity.) One should just come, play and be calm. It's only in the course of a tournament that you could think about your chances and things like that. E.SUROV: Misha Pushkin asks: 'Did you have any doubts before the tournament'?E.TOMASHEVSKY: One always has doubts before a tournament. 'If you don't have doubts then you shouldn't go on the stage', actors say. It was a strong and difficult tournament, and, of course, I had had doubts. But one should be able to fight them somehow, just to come and play, and I am usually able to do so when I'm in good shape. There most interesting. I’d think him, if I could. He is clearly a strong GM with a good attitude and lots of future potential. It would be interesting to see him strengthen and climbing the charts. As for training programs, you can never really use what GMs say, before they all had an awful lot of practice/training in their younger years, that we (amateurs) hadn't. Russian players may even had systematic coaching as youngsters, and solved thousands of puzzles back then. I find his pychological approach to the game, the most interesting part of the interview. I also think that if tactic puzzles appeal to the one of the strongest positional players alive; there are certainly good for patzers like myself. the idea of embracing a "calm" outlook on my chess, resonates with me right now. my training program isn't really in good shape (less time and intensity) and I've had some recent embarassing blundered games.